– Johnnie and the Foodmasters, an oldies (’50s and ’60s rock ‘n roll) cover combination, was formed in 2013 by noisy nonmusician G. Gordon Gritty, classically trained pop maestro Ben Tan, and drummer >>>>>>>>>>>>>>>>>>>>>>>. The latter two members previously spent time playing in Wakefield psychedelic rock band Moontower(s), of which two-time Foodmaster live bassist Chris Kree was also a part of. Chris is also the live bassist in Steep Leans, the project of Wakefield’s own Jeff Somers, a onetime employee of Johnnie’s Foodmaster himself. Steep Leans are associated with Nathan Williams (Wavves) label Ghost Ramp and have toured with Wavves. Yankee Power, although not a through-and-through Wakefield band, has two members from the town, and also has incestuous ties to some already mentioned groups: Ben Tan has played keyboards in Yankee Power and Yankee Power member Mark Fallon has played bass in Johnnie and the Foodmasters. Prior to the early 2010s, the music ‘scene’, if you will, centered around high school bands playing the Unitarian church and venues of that like. A few of the Foodmasters were involved in that adolescent circuit via The Revivalists, perhaps retrospectively noted in their day as not being just another suburban pop-punk/emo band. There were plenty of those types of bands to go around at that time and I am sure somewhere there are North Shore teenagers and folks in their 20s and 30s continuing those traditions. Many of the not-mainstream-garbage rock ‘n rollers have fled their hometown to live closer to The City, but many have not yet made that move. Either way, there’s nothing currently going on in Wakefield as far as interesting live music, besides that of which is being produced in the bedroom or the basement. The active/underground Wakefield bands are associated with the Boston DIY community. – This swath of groups is more of a reflection of yesteryear (early 2010s) and features some overlap with Wakefield. Where to begin? Possibly with Golden Retriever, a band that existed around approximately 2011. Possibly with Fat Creeps out of Lynn and Haverhill. No matter where you start, both of those bands played some shows together. Put out a split. In 2012, Jim Leonard left Golden Retriever and joined Gracie and Mariam of Fat Creeps on drums. Golden Retriever changed their name to The Space Bums in 2012 before settling on the Future Days moniker in 2013. Al Marantz of Future Days has since released a steady stream of home recordings and has collaborated with his like-minded pal Jim. All these groups are no strangers to power-poppers The BFs from Gloucester, active from 2009 to 2012. The BFs featured members of Lynn’s The Little Richards. 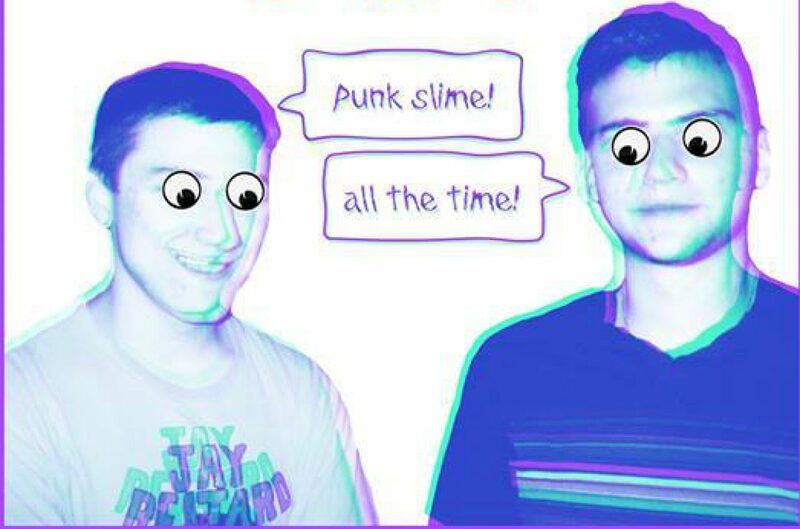 North Shore twee/punk duo Wet Dress were active until 2013 and now Providence’s Gymshorts feature Chris from Wet Dress on drums. Note to the above: The Info Maniac is based on knowledge KLYAM has gleaned from either covering the above bands or having made connections among them and doing a little research. It is by no means 100% accurate or inclusive of every group. Feel free to provide additional insight or commentary by e-mailing us at klyamemail@gmail.com.